Dubai: The Indian jewellery retailer Malabar Gold, which is developing an extensive base in the Gulf region, wants to be a $6 billion (Dh22 billion) company by 2016. Along with a chain of 220 outlets worldwide, this would, according to a top official, propel the company to be the world's biggest jewellery retailer from its current third position behind Hong Kong-based CTF and Tiffany & Co. The targets — and the plans that would help meet them — were unveiled yesterday in Dubai. The move assumes significance given that the company's Gulf operations now account for 25 per cent of turnover. An additional 15,000 jobs will also be created as part of the programme. Currently, the retailer has an annual turnover of $2.4 billion. Having launched operations as a co-operative in 1993, it has a base of 1,400 investors. The network expansion would concentrate primarily on new markets in the Far East as well as wider coverage in India. Currently, the retailer's India presence is skewed towards the southern parts of the country. An entry into the UK is also considered a strong possibility. "There have been approaches by investors keen to take the brand into London," said M.P. Ahmad, chairman. "It's quite likely that we would take up this offer. "But it will not mean that our designs and collections will be overhauled to cater to that specific market. In all new markets, our approach would be to highlight a contemporary Indian identity." For the network expansion over the next four years, the company will require $700 million to $750 million. New investors will be brought on board to fund the expansion as the debt-equity levels are maintained at 20:80. "That's the ratio we have traditionally operated on and I don't foresee us requiring a major debt funding to support the new expansion," said Ahmad. "Investors are already there for the new markets that we will be getting into shortly. "We had been planning this for two years now and had ample time to secure our financing strategy." This year the company will release $100 million to create 20 additional outlets, taking the total to 84. A stock market flotation has been ruled out. Also not on the plans is a consolidated production and design facility. "It was initially considered and then dropped in favour of the multiple manufacturing plants that we have now," said Ahmad. "This, we found, helps us be more nimble in gauging market trends and come out with new design collections. A single plant would never have achieved that." There are four plants in the company's portfolio, including one in Sharjah. This number will be raised to ten, including new ones in Saudi Arabia and Qatar. Even with its entry into new overseas markets, India will still make up 75-80 per cent of the turnover in 2016 and beyond. A pan-India presence is the reason for that. Buying gold became a lot dearer following the passing of last week's budget. Import duties were doubled to 4 per cent and there is now a 0.3 per cent tax on the majority of gold jewellery sales. The higher duty "is expected to have a major impact on the amount of physical gold exported to India," said Gerhard Schubert, head of precious metals at Emirates NBD. "We are not sure that a strike is helping at a time when the market needs all the buying it can muster, but a point was made by the Bombay Bullion Association. "Maybe this can lead to some re-thinking in the Indian government." The jewellery trade in India had called for a strike in protest and it seems it had some impact. The government, according to industry sources, could roll back the increase or provide relief elsewhere. Ahmad, however, has his sights trained firmly on the future. "Gold consumption patterns in India will not alter drastically under any circumstances," said Ahmad. "As of now, no jewellery retailer has an all-India presence and that's a major opportunity for us to take full advantage of. "Along with our Gulf operations and upcoming ones on a wider Asian footprint, the number one status cannot be that difficult." Along with all the changes that Malabar Gold plans to bring about on the ground, there will also be slight change to its name. It will now be known as Malabar Gold & Diamonds, a clear nod to the fact that diamond jewellery now represents a significant portion of its sales. A similar trend is also apparent at the other leading jewellery retailers in Dubai. The Brand Union Middle East, based in Dubai, oversaw Malabar Gold's brand identity and logo over a 15-month period. To press home the advantage of a new identity, the retailer has set aside $100 million, with the new campaigns to unfold today. 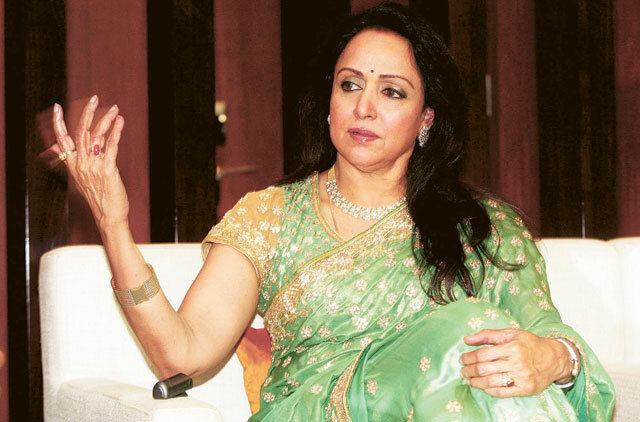 As in the past, the company's brand-building campaigns will continue to be helmed by leading Indian actors, including Hema Malini and Mohanlal.